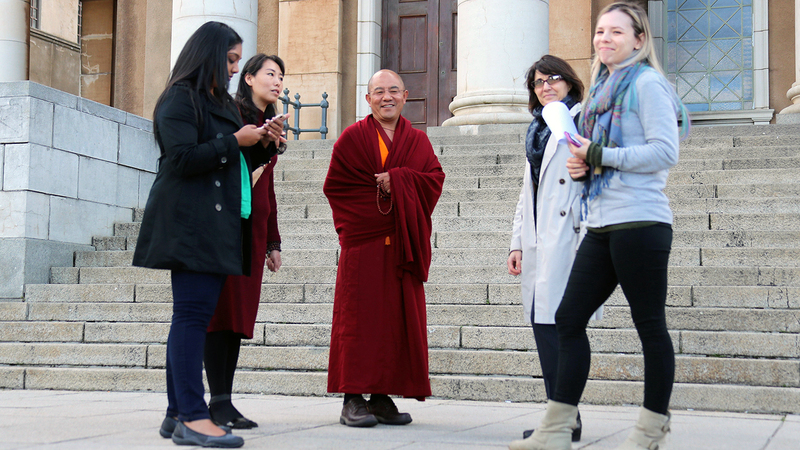 Sodargye Khenpo Rinpoche was invited to the University of Cape Town to give a speech on Daily Practice and Ritual in Tibetan Buddhism on Sept. 28th, 2018. In this talk, Khenpo introduced Tibetan Buddhism to the audience through four aspects, during which he also shared a couple of videos about debate and some daily practices going on among the monastics in Larung. Please click here for the full record of the talk.